The Italian brand Crossley has just arrived in our stores. The pieces are high quality sweatshirt styles made from cozy materials and are known for their simple but classic designs. Hurry in to see these Italian made pieces. Crossley is experience and experimentation, a quality with no compromises, thoughtful originality. The result is an exclusive collection with precious natural materials like pure cotton and cashmere. Each piece is entirely unique and easily adapts to everyone’s lifestyle. Crossley is 100% made is Italy and is committed to the design of exclusive items with limited edition quantities. Each design is personal, featuring contrast inset fabric textures, hand distressed seams and unique stitch detailing. 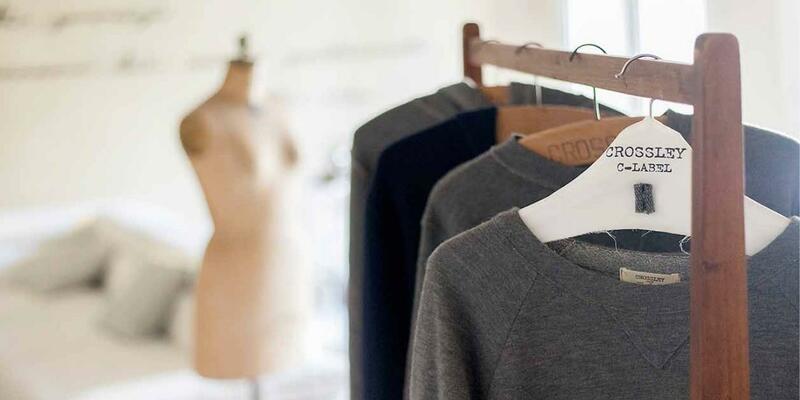 Cashmere, pure cotton, recycled denim, silk, and linen are the signature materials for Crossley’s luxurious but “simple” garments. Experience and continuous research give life to a unique style that goes beyond appearance. Each garment tells of an exclusive product, truly unique in style and form. Every piece in the collection is the result of extensive research and is created and constructed and with extreme attention to detail; the exclusive materials engineered for each garment makes it a truly unique and timeless piece. Luca Gorini founded Crossley in 1882, while still in high school in Florence, Italy. Gorini used his spare time trying to earn his living in trading materials from Prato, where the textile industry had grown since the 50’s. His interest in this field began there and is where he will start to collect high quality “made in the USA” vintage clothing sold at an American Market, Camp Darby U.S. Army based in Leghorn. This American market is where one could find tee shirts, Levi’s jeans, and Ray Ban sunglasses very conveniently.